Another full week in the life of FBCPA. On Friday, the final Senior Chat was held at Covenant Presbyterian Church, followed by a luncheon co-hosted by Covenant and us to say thank you to Dona Smith-Powers for eight plus years of leadership of this program. We shared our gratitude for all she has given. On Saturday, in our sanctuary, we held a moving memorial service for Virginia Herbert. Until her death, just shy of her 96th birthday, Virginia was our oldest member. Virginia was a remarkable woman, school teacher, mother and social organizer. Her circle of friends and former students is large. There will be another celebration of her life later in the spring when more of these folks can gather to share their rich memories. We will surely miss her. Thanks to everyone who helped with the service and lovely reception afterwards. Sunday we finished our brief spiritual journey into the theme, “Be Born in Us Today,” by considering the ancient practice of examen, in which we ask ourselves on a regular basis, “Where did I feel God’s presence in my life today?” and “When Did I experience God as being absent?” These are key questions for a growing spiritual consciousness. In the afternoon, a group of intrepid carolers went to the Terraces to sing for some of the folk there. Afterward we gathered back at the church for chili supper. Thanks to Eleanor, Melanie Ramirez and Thelma Tuttle for making the delicious meal happen. God grant us more light, more love, more life as we journey together. We are a friendly, diverse group that includes members of at least four churches in Palo Alto. We also welcome any individuals who have an interest, so bring your friends and neighbors. No RSVP necessary. 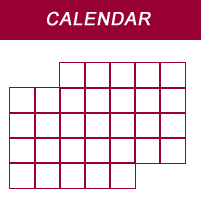 We meet on the second Friday of each month at 10:00 in the Fireside Room of Covenant Presbyterian Church. We have refreshments, light exercises, and a stimulating speaker. will present a panel discussion from folks in our Palo Alto community who are offering direct services to youth. We have experienced the sad fact of a number of young people taking their lives, and we all have concerns. We need to hear from organizations and schools about how we can support them in their cause for the healthy emotional lives of our youth. Bring your ideas and questions about this timely issue. This will be the last Senior Chat. It will be followed by a luncheon honoring Coordinator Rev. Dona Smith-Powers. See details here. Thursday, December 11, 7:30 pm: Choir Practice in the Parlor. Friday, December 12, 10:00 am Senior Chat and Luncheon: “Our Youth at Risk” will present a panel discussion from folks in our Palo Alto community who are offering direct services to youth. Covenant Presbyterian Church, 670 East Meadow, Palo Alto. A special luncheon honoring Dona Smith Powers will follow. Details here. Saturday, December 13, 1:00 PM: Memorial service for Virginia Herbert in the Sanctuary followed by a reception in the Parlor. “Alive in the Adventure of Jesus: Keep Herod in Christmas,” Pastor RIck preaching. Sunday, December 14, 4:00 pm: All-church Caroling and Chili Supper. Meet in the Parlor and we will spread out from there to bring Christmas cheer to some of our community who don’t get out so easily. at the Terraces of Los Altos at Janet Maxwell’s apartment. The address is 373 Pine Lane, #2106, Los Altos. Let Pastor Rick know if you need transportation. Wednesday, December 17, 8:30 AM: Men’s Breakfast at Palo Alto Breakfast House, 2706 Middlefield, Palo Alto. All the men from our Church family are welcome. Thursday, December 18, 10:00 AM: Women’s Brunch at Nan Spiridon’s home. Please call for information. Saturday, December 20, 10:00 AM: Set Up for Christmas Brunch. Please help us make the hall ready for the brunch on Sunday. The more the merrier! Sunday, December 21, 11:30 am: Christmas Brunch for the whole congregation in the Fellowship Hall. Please bring finger food to share. Thursday, December 4, 7:30 pm: Choir Practice in the Parlor. Friday, December 12, 10:00 am Senior Chat and Luncheon honoring Dona Smith Powers, Covenant Presbyterian Church, 670 East Meadow, Palo Alto. Details here. On December 12 we will honor Dona Smith Powers with a luncheon after the Senior Chat Program. Dona has been a faithful leader of Senior Chat for 8 years. The programs have been diverse and timely and many people have appreciated Dona’s leadership. In visioning for the year ahead, Covenant has decided to take a different direction with this ministry, so this will be our last Senior Chat Program. During the last 8 years Covenant Presbyterian and First Baptist have been the primary sponsors of this program and we invite you to this final program and celebration. 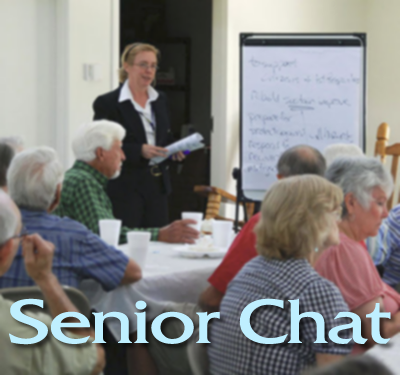 We hope that you will join us on Friday December 12 at 10:00 a.m. for Senior Chat and a luncheon that will follow. Please RSVP to the Covenant Church office if you plan to attend the Luncheon: office@covenantpresbyterian.net or you may call 650-494-1760. 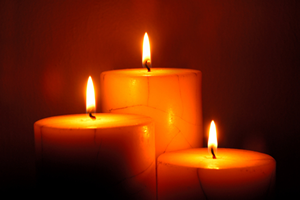 Thursday, November 13, 7:30 pm: Church Choir in the Parlor. Come and lift your voice in song. All are welcome. “Alive in Creation: From Ugliness, a Beauty Emerges,” Pastor Rick preaching. Tuesday, November 18, 2014: Bible Study at the Terraces of Los Altos at Janet Maxwell’s apartment. The address is 373 Pine Lane, #2106, Los Altos. Let Pastor Rick know if you need a ride. Wednesday, November 19, 2014, noon: Baptists Lunching Together at Grand Lake Gardens, Oakland. This month’s program will feature Evelyn Hanneman, BPFNA Operations Coordinator, speaking on Burma and the Baptist Peace Fellowship of North America. Lunch is $8.00. Please call Joan Thatcher at 510-350-7008 for reservations. Let Pastor Rick know if you would like a ride. Thursday, November 6, 7:30 pm: Church Choir in the Parlor. Come and lift your voice in song. All are welcome. “Getting Slavery Out of the People,” Pastor Rick preaching. Tuesday, November 11, 2014: Bible Study at the Terraces of Los Altos at Janet Maxwell’s apartment. The address is 373 Pine Lane, #2106, Los Altos. Let Pastor Rick know if you need a ride.